You may remember that I am a “wordy.” I’m not a numbers kinda gal. I have done and can do higher math, but I don’t find the pleasure in it, like I do language and grammar. As a home educator, though, I have the responsibility to teach math, and as a parent, I want my children to embrace it, and every other subject for that matter, according to their own bent; not influenced by mine. Professor B Math is an online math program, with a unique history and philosophy that sets it apart from other online math programs. It is complete with instruction, but has no sound, or anything that would be considered “bells and whistles,” as my children might call it. Professor B aids anyone lacking full confidence in their ability to teach math – parents, grandparents, older siblings; mentors – to indeed, instruct their student, as a master teacher. 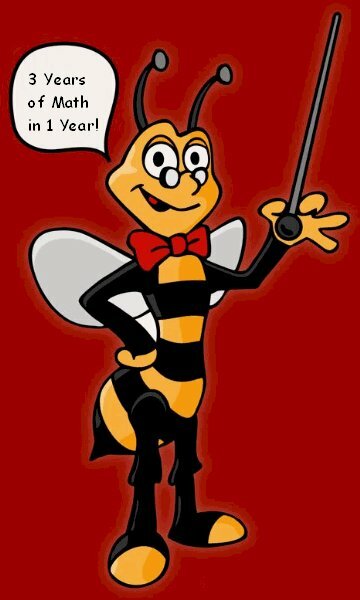 Professor B is a professorish-looking bumblebee, wearing spectacles and a bow-tie; using a classroom pointer. You are the teacher, going through each lesson with the Professor and your student. Click graphic to view Sample Lessons. Created by Professor Everard Barrett, Professor B is designed for Preschool through Middle School, covering basic arithmetic through Algebra. Professor Barrett believes math can/should flow like a story, not fragmented with pieces/parts of concepts. The Professor B bee works through educational slides, with you, as the instructor, reading his word balloons to your student. He gives the “why” behind an equation or formula, encouraging use and practice. “Mastery once obtained must be sustained” is the charge to instructors at the end of each lesson, but he is not an advocate of learning through rote memorization. There is sufficient achievement data to support Professor Barrett’s claims that the diligent use of the Professor B Math program can accomplish “3 years of math in 1 year,” which was a huge draw for us, and it can eliminate the need for any expensive tutoring. Subscriptions can be paid per month or per year. The Professor B Math website is being updated, as of this writing, June 2012, but their best price offer is available now. Call Customer Service @ 678-765-6655 and get 3 years access to any one level for $100. Professor B has built my confidence to teach my children math. I know more than I sometimes give myself credit for, and my children have pointed it out more than once, especially while using this program. They enjoy my voice/instruction, and understand me better, than they do Professor B. Because I’m not computerized, I can move forward, quicker than the slides, or slower, as might be needed for a new concept. 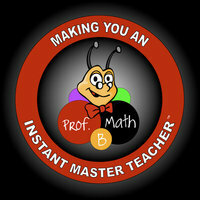 I recognize, though, that I am a better math instructor when I’m working with Professor B. We go through a lesson together, slide by slide, and I know what I’m teaching and how to teach it, following the example of the bee. Then, I can further explain, assign practice worksheets or see-for-myself that my student is ready to move on. It’s been a win-win situation for us! Please, use the many links I’ve provided throughout this post to learn more. You can also click the banner below to read what my Crew mates have to say about this program, and check it out for yourself – Professor B Math offers a 30 day Free Trial, too! Again, just call 678-765-6655 and ask for it! Disclaimer* Access to this online program was given to me, free of charge, in exchange for my honest review, as a member of the Schoolhouse Review Crew. I receive no other compensation for my reviews on this blog. The opinions expressed are my own. None of my children are chomping at the bit to earn a math major. I’m trying to think whether or not I have any that actually like mathematics. Hmm…some of them at least acknowledge that they will have to take a couple of math courses in college to obtain their degree, but it is a reluctant acknowledgement. Yes, they realize the importance of numbers and the place they hold in the order of life, but wish it didn’t have to apply directly to them. Sorry to say, I totally understand; so, I’m always looking for ways to keep their attention long enough for them to acquire and hone their necessary math skills. The creators of IXL Learning must know students like mine! IXL is a bright, colorful; and even fun, online program that allows your child to practice math concepts, while tracking mastery. They have over 2,000 skills listed by grade or by topic, supplying unlimited questions for Pre-K through Algebra, with future plans to add Geometry, Trigonometry, AND Language Arts! 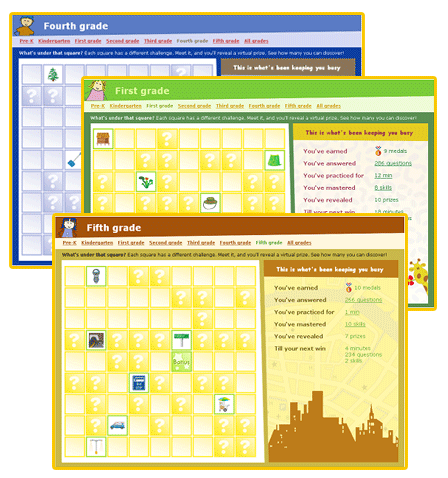 We are currently using two different math curriculums, and IXL.com easily supplements both of them. Choosing by topic has worked the best for us, because the teaching and instruction occurs with the curriculum we’re using, followed by examples and practice with the IXL correlating topic. When working a problem, if the student answers incorrectly they can ask the program for an explanation and one is supplied, otherwise IXL is strictly practice; not instruction. 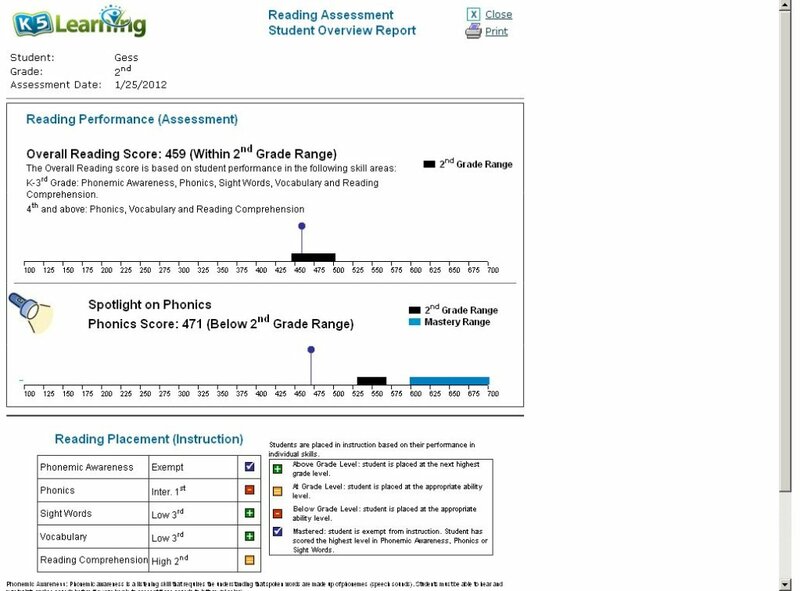 IXL.com gives me access to all of their grade levels; so, if my child is excelling in one area I can allow him to advance, while working through a different level in another area. I think this has kept boredom at bay. Also, students can unlock virtual rewards and prizes to place on a game board as they excel. Mine call them stickers, because they remind them of our “in house” sticker reward program from their younger years. The best part of the program for me is the reporting that IXL does. They track each students progress and keep a report of the time they’ve spent on the program AND the time spent working problems. Because of this, I can teach to specific areas that need improvement. 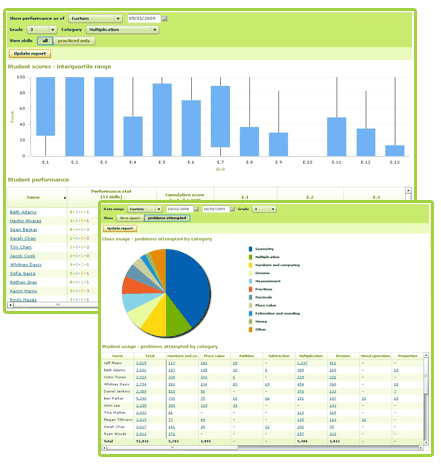 IXL also offers State Standardized Test Alignment and Reporting. You can find the right skills that need practiced and read a thorough report of your child’s readiness for standardized tests according to your state. IXL Membership is $79 a year for your 1st child and $20 a year for each additional child. There is also a per month option of $9.95 for the 1st child and just $2 a month for each additional child. Membership gives you access to every grade level and topic available. Please, take a few minutes to follow the links I’ve provided here and browse the IXL website. You can also read the opinions the Schoolhouse Review Crew, when you click the graphic below. Have I mentioned that we tend to gravitate toward art and writing, as opposed to math? I think each of my children would say they enjoy the creativity of expressing themselves artistically, through drawing or painting, musically, or as a wordsmith, with little inclination to numbers crunching. I acknowledge that numbers are vital to the order of the universe, though; so, I am always looking for ways to mathematically engage my students. 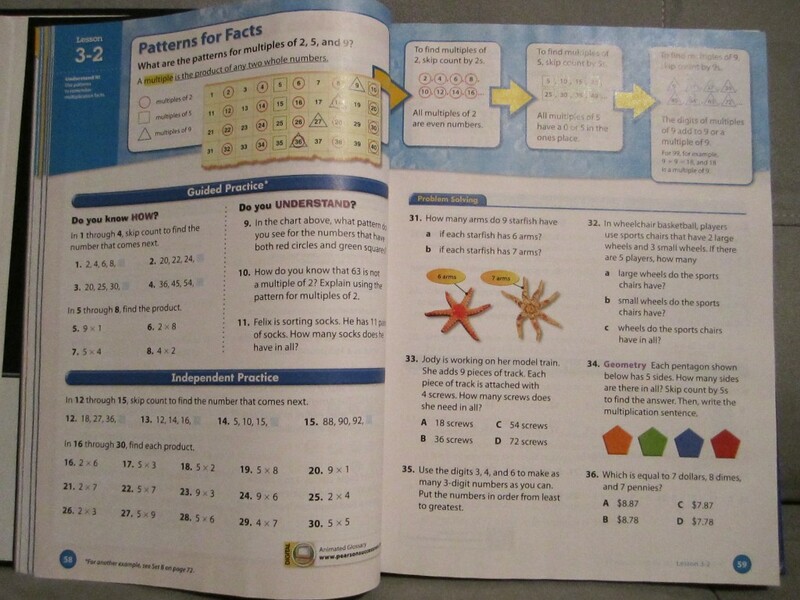 Click graphic to read Why Pearson Homeschool Curriculum? 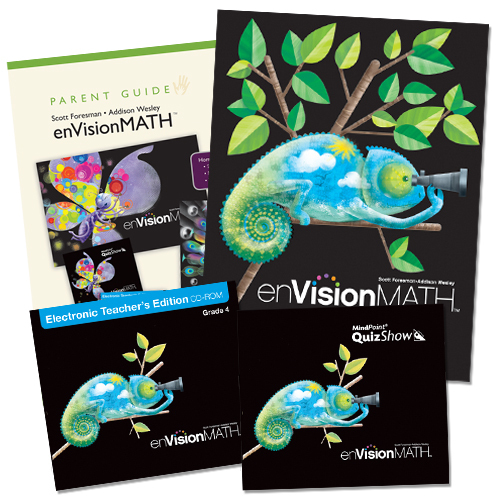 Pearson Homeschool has affordable curriculum packages available for grades Pre-K through 12.
enVisionMath “uses problem based interactive learning and visual learning to deepen conceptual understanding. It incorporates bar diagram visual tools to promote problem-solving skills, and it provides data-driven differentiated instruction to ensure success.” I couldn’t have said it better myself! Products are available individually, but a Homeschool Bundle has been created for each grade level, K – 6. Student Text, a beautiful hard bound book with semi-glossy pages. Daily lessons introduce a concept using engaging illustrations, examples of problems, guided practice, independent practice and problem solving. MindPoint Quiz Show CD-Rom, quiz show-type math games, with multiple-choice answers, played against the computer or more than one player. Teacher Edition CD-Rom, which contains customizable lesson plans, teaching guides, reviews & assessments, and printable resources that include practice worksheets and tests. We have used several online computer programs for math, in the past few months, and I think my daughter enjoys having a book-in-hand and not having to schedule available PC time. 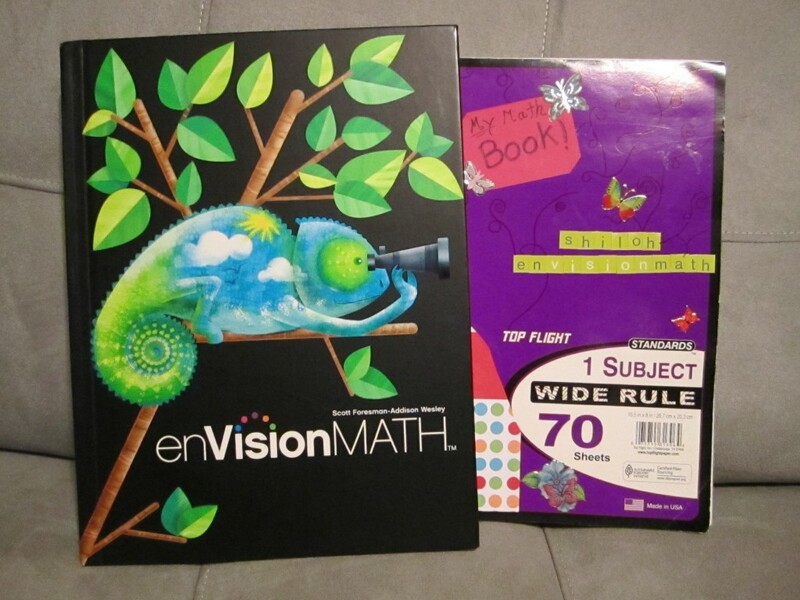 enVisionMATH is a full math curriculum and it does teach sequential concepts, which I definitely like, but I am still undecided whether or not I would use it exclusively as our math program. Grade 4, has been a wonderful gap-filler, for us, and I do expect to complete every lesson with my daughter. This is a non-consumable book, which I actually appreciate, since I can re-use it with my other children without an added expense, but a notebook is needed in addition to the student text. The course can be teacher intensive, because the introduction of a new concept sometimes lacks fine details, in the student text, and must be taught. In this case, I like that it forces me to remain hands-on with my child’s education. Assessment of her strengths and needs is easy, because I’m involved on a daily basis. Teaching Guides are available and I do not think this is difficult to teach. I hope you will follow the many links I’ve provided throughout this post, and check out the opinions of the Schoolhouse Review Crew, when you click the graphic below. Pearson Homeschool has a lot to offer! I’ve found that the best way, or at least the yummiest way, to teach fractions, and actually make them stick, is in the kitchen. Measuring to mix a batch of gooey, chocolate fudge brownies, cutting a veggie-loaded pizza or slices of hot apple pie, or adding the measures that triple a recipe of Gramma’s Homemade Chicken and Noodles, so they’ll be enough for this crew. The problem I’ve found, there is no way I can cook enough, or we can eat enough, for my students to thoroughly practice using fractions. The more you use fractions the easier they are to use. Fractazmic (TM) is a 60 card game of fraction-practice-fun! Created for 1st-8th grades, and beyond! It’s from I See Cards (TM), the maker of the award winning Pyramath (TM) game. 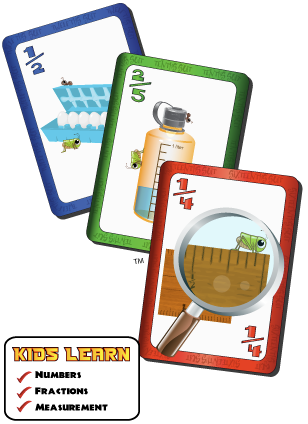 Using colorful cards, with easy-to-grasp graphics, it teaches fractions, numbers and measurement and there’s no dishes to wash! My children learn to convert and add fractions, reinforce the relationship between fractions and measurements and show real world use of fractions, without the added expense of chocolate chips or vanilla bean ice cream! There are three sets of color coded cards – sixteenths, twelfths, and tenths. The object is to make sets of cards that equal one whole. When a player has used all of his cards the game ends and the player with the most sets of 1 whole, wins. We played this game, and others using this deck. My youngest daughter’s favorite is Go Fish! She learned to recognize the fraction on the card and the proper way to say it – one half, four sixteenths, etc., while enjoying the thrill of beating her older sister at a game! Dr. Ron teaches Fractazmic Trap and Fractazmic Rummy in his free download, Math Success Booklet. My view ~ “Educational fun for a fraction of the cost!” Truly, the game is only $6.95 or play Fractazmic (TM) Speed Version online; if your speed is the fastest, you could win a free deck of cards. Warning: Online Fractazmic can become addicting. You’ll find other reviews when you click the graphic below and read what my TOS crew mates have to say about I See Cards (TM) and Fractazmic (TM). I love hands-on learning! Building. Creating. Going. Doing. Definitely more of an action-verb sort of teacher, rather than a state-of-being type. I’m not fond of seat work, although it has it’s place and I use it. I love Pitsco Education! They are the epitome of relevant, hands-on learning activities and they are dedicated to student success. Pitsco has been a leader in education for 40 years. They “offer a robust array of STEM-oriented [Science, Technology, Engineering, and Math] classroom solutions.” Their classroom kits would work well for co-op groups, but they also have full line of individual, homeschool kits, available. They care about their students, their teachers AND their reputation. Therefore, they are constantly seeking to improve and expand their product line, “providing students with the most positive and meaningful experiences possible,” while maintaining an exceptional system of customer support. Our most recent experience with Pitsco Education involved learning about and building a catapult and a trebuchet, using their Medieval Machine Pack. It retails for $21.95, includes a Trebuchet Kit, Catapult Kit, Mass Plates, and the Seige Machines Book. This pack is designed for use by Intermediate – Middle School age students, but all of us in my house, elementary through high school and adult, gained knowledge with this hands-on activity. The kit activities did require some additional items such as measurement and hand tools, all of which we already had in the house. For more detailed information about Pitsco, please, follow the many links I’ve included throughout this post. You can also read other reviews, by my TOS crew mates, when you click the graphic banner below. Take a few minutes and explore Pitsco Education. It could have a positive impact on your curriculum at best and a definite influence on your Christmas list, in the least. Thank you for your comments. I’d love to hear about YOUR favorite Pitsco Education product. *Contents of this blog and photographs are copyrighted; they are the property of Knee Deep In Grace and may not be used without written permission. To say something is mammoth is to say it is something of great size. My kids would interchange it with ginormous, a word they’re sure they used before anyone else even thought of it. Personally, I like colossus – of gigantic size and proportions. 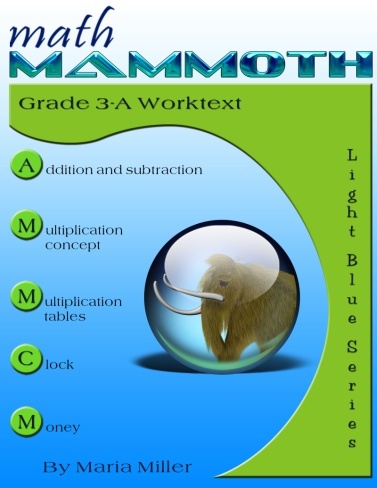 My latest review is for Math Mammoth and it’s big, really big! Maria Miller, the author, has put together multiple math options for your student. Hundreds of pages of text and worksheets, organized as a complete curriculum, for grades 1-6, or as work texts and worksheets, by topic or grade level, through the 8th grade. She has devoted more than ten years to creating math resources and this effective curriculum that is available as an instant download and in printed books. She’s packaged over 300 sample worksheets that can be used for FREE. It is also no small thing that Math Mammoth is affordable. $34.00 per download, per grade level or work text (worksheets and text in the same book), by topic, for $2 – $7 each, and several discounted package deals. In today’s economy this is huge! 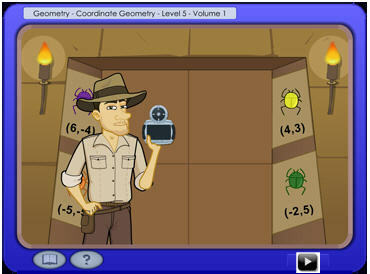 Over the years we have used several different math programs. Some have been successful and some were duds, according to the learning bent of my child, not necessarily the merits of the program. Math curricula are not one size fits all. 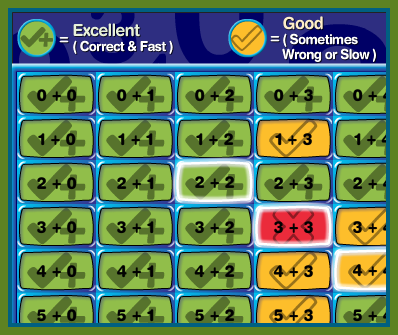 Basically, Math Mammoth focuses on one concept at a time – in depth – approaching a problem from different angles – until that concept is mastered. Therefore, thinking is challenged, and mental math acquired and honed. I have discovered, finally, that this is the perfect environment for one of my sons. The lessons appear “clutter free” to him. They are clear and concise, and he understands what he is expected to learn. He concentrates on it, studies it until he’s “got it,” then checks it off in his mind as conquered and moves on to the next topic. My daughter, on the other hand, finds it “rather boring and monotonous” and performs much better when stimulated by variety and repetition. It is monumental to me, as a parent/teacher, that Maria Miller has developed a FREE placement test for each of the grades. I was unsure, for a couple of my children, what grade level they had attained in math. I thought there might be a few conceptual gaps in their education, but I wasn’t even sure what was missing. So, I had no idea where to start with this program. Maria suggested that I give the children a placement test and then submit the results to her. She personally analyzed the results with me and advised me, based on her own extensive experience and education, on which course would be best for my son. Her guidance and support has been an immense help. Click the TOS graphic below to read what they thought of each option. The Light Blue Series book that we’ve been using has made an impressive positive impact on my son’s view of math and his own level of capability. 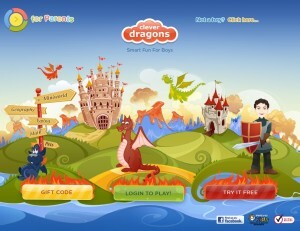 Clever Dragons launches it’s smart fun for boy’s only, today! My son has been waiting weeks for this, as I wrote in my review of a scoop of laughter, a scoop of learning, Always Icecream, for girl’s only! I’ll be posting a review of this site, soon, but couldn’t wait to tell you that Clever Dragons is online and they are offering a discounted membership rate for a limited time only. Find Clever Dragons on facebook for the latest updates. Clever Dragons, nor anyone affiliated with them, asked me to write this post. I received no compensation and any expressed opinions are my own.